Some of our locks have the ability not only to do Master Keying, but Grand Master Keying as well. This would be a special order scenario but we can create that keying system for you. 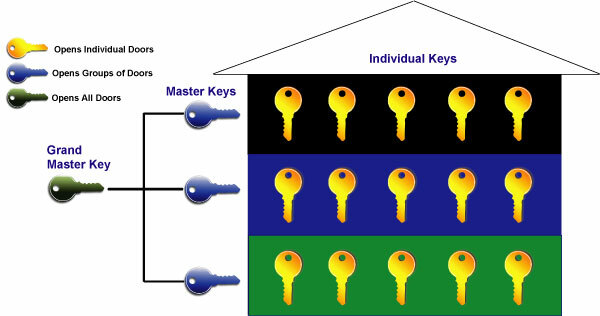 See the below chart example whereby each door in a building is keyed different, each floor has a master key that opens all the doors on that floor and the grand master key opens all the doors in the building.